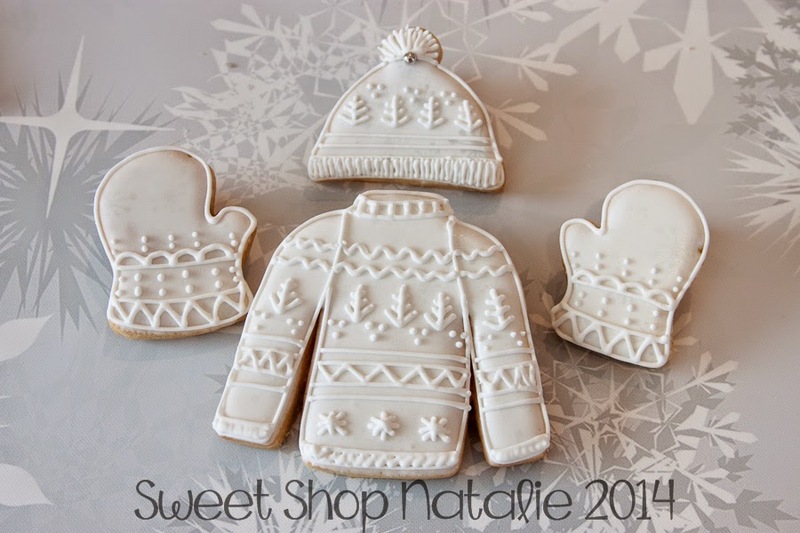 Sweet Shop Natalie: It's cold outside time to bundle up in Sweater, mitten and hat......cookies!! 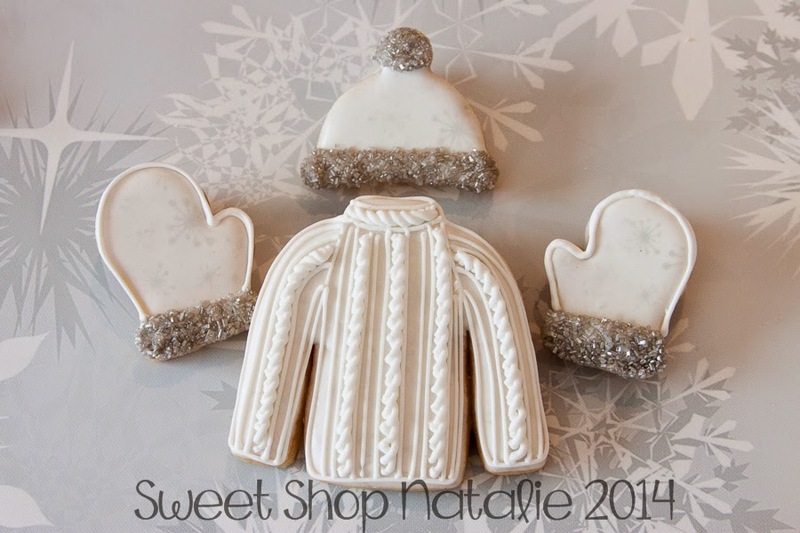 It's cold outside time to bundle up in Sweater, mitten and hat......cookies!! Here are the sweater my frosting was a little thick for the cable knit so my hand got a little tired. I know the consistency is the main key but I am just too lazy to remix sometimes. It's getting colder so you need to start wearing those beenies! I would wear a white one like these if I had one. And keeping those fingers toasty it important. 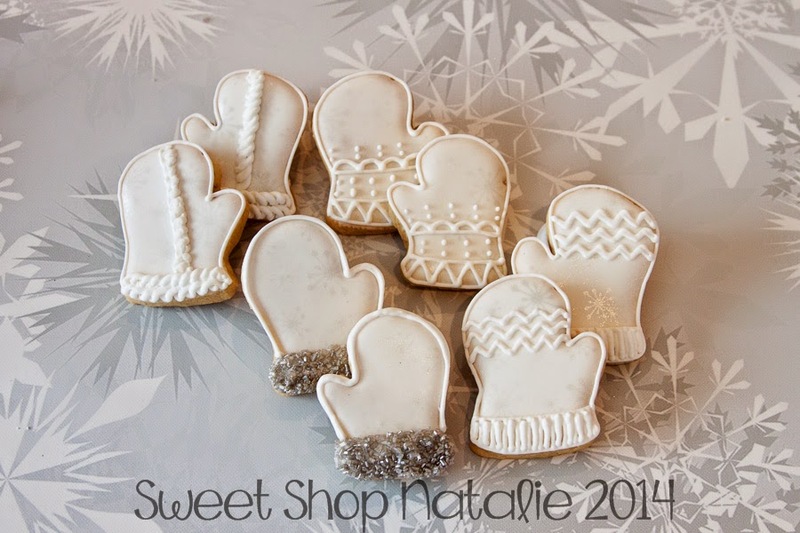 I airbrushed retro snowflakes on all the cookies first before the detail and you can see it in the hats and gloves the most. Stencil is from Artfully Designed. I thought I would put a couple of outfits together that might be fun to wear if they were real. But eating them will be even better. And the whole wardrobe altogether. 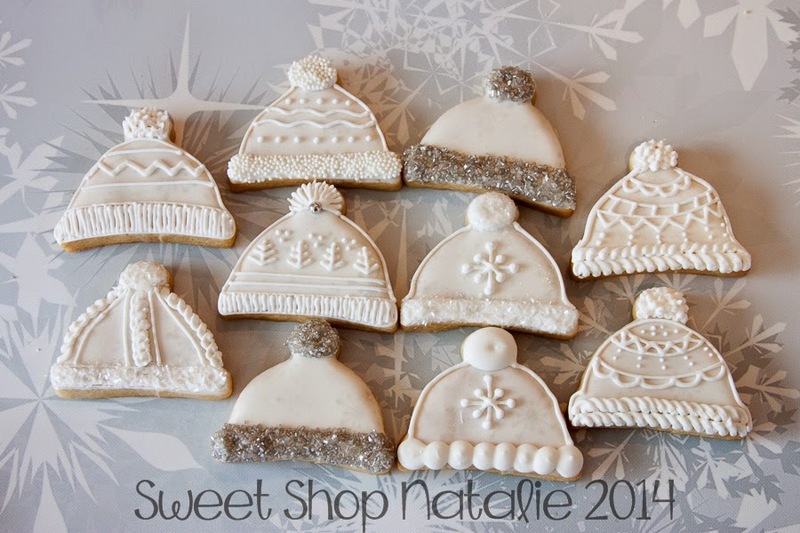 It's amazing how using just white can make really cute cookies. And if you have an aversion to food coloring you can see you can still have pretty cookies. Thanks LJ for the order I hope your girls night is a blast!! 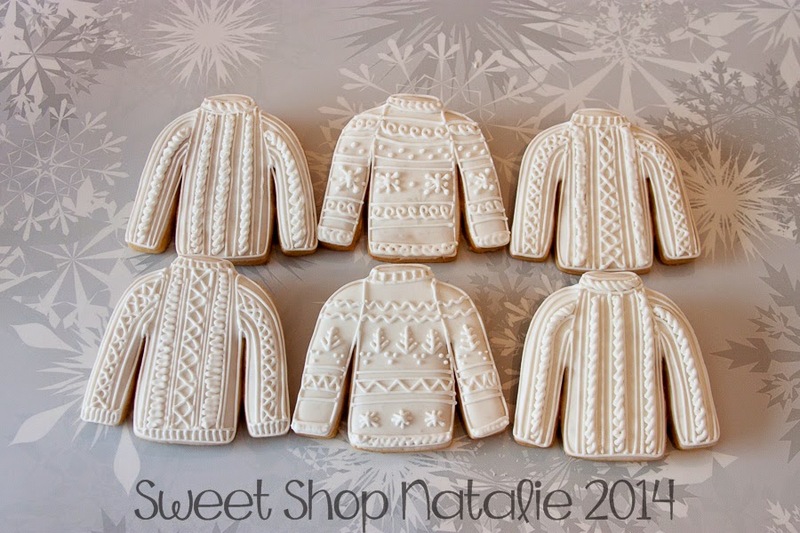 Where can I get cookie cutters like these? 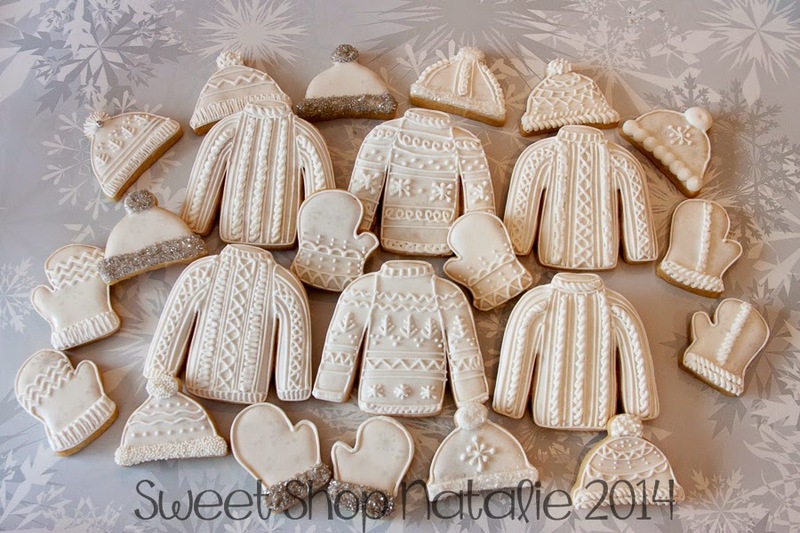 Can you please tell me where you got these cookie cutters? Thank you.